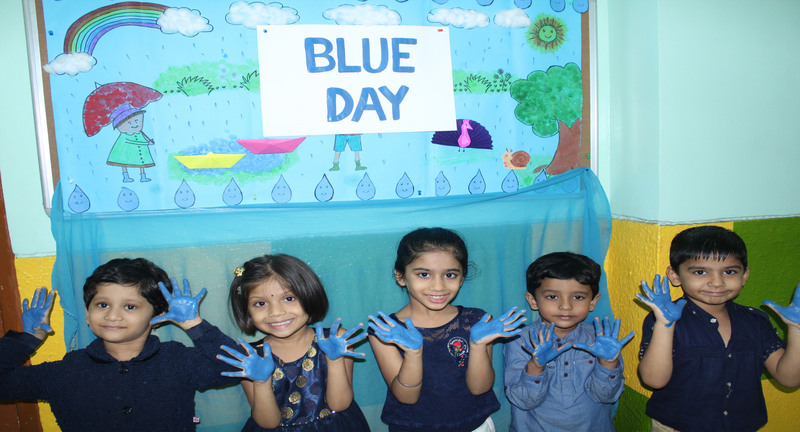 The Pre-primary section celebrated ‘Blue Day’ on 10th July 2018. The Blue colour is associated with calmness, strength, friendship and serenity. 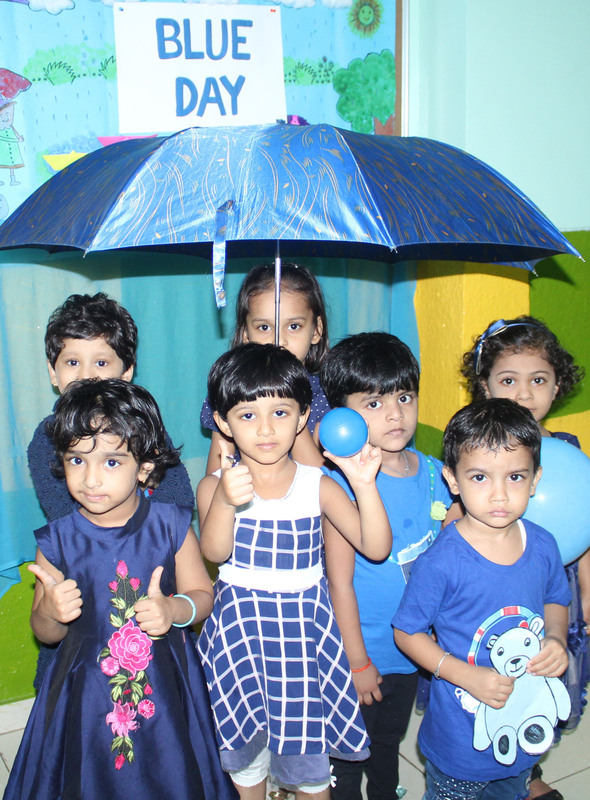 All the children came dressed up in different shades of blue. 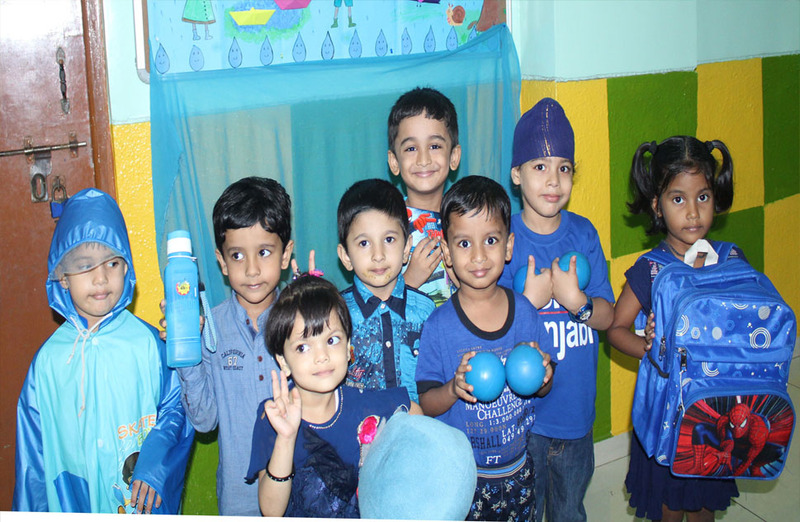 The classrooms were decorated with blue balloons and children were introduced to different shades of blue. The children were overjoyed and thrilled to see the different shades of blue. They also had good time in school.